Please kindly use the contact form to report difficulties, strange behaviors or persistent problems, and quote the program name or the number 6863 . Download page for the app ClickCharts Pro Edition - Create flowcharts easily with this Windows software. 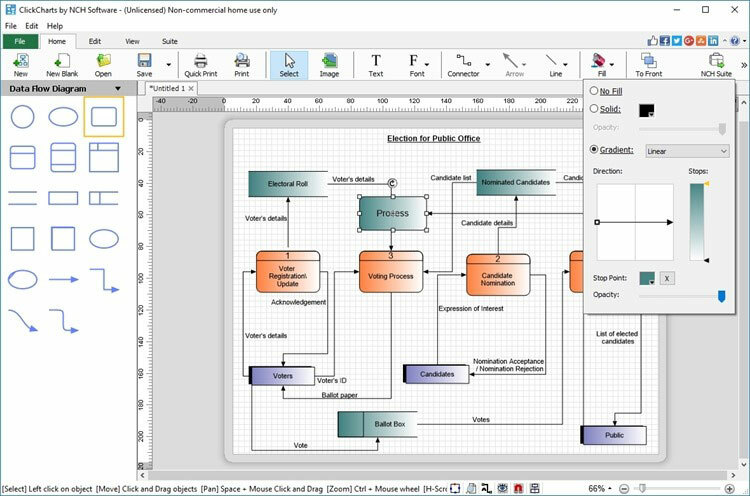 Whether you're mapping out ideas, laying out the structure of your organization or creating UML diagrams, ClickCharts is the perfect user-friendly program to get you going. Simplify complex processes, troubleshoot bottlenecks and find areas for improvement. Organize your ideas visually and make even the most complicated process easier to understand. The intuitive user interface helps you choose from a variety of symbols, shapes and colors to uniquely convey your ideas.